That’s Tom in the percussion “cage” above, far left (and on the big screen) with the Keynote worship team leading the 6,000 US Campus Crusade staff members before God’s throne. We spent much of July at CSU in Fort Collins, Colorado with all of the US Campus Crusade for Christ staff. We heard great messages and worshiped together. 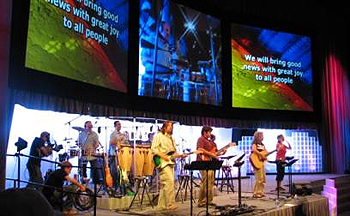 Tom played percussion in the arena and for a smaller CCC ministry (Life Builders). He had a blast and added so much with his enthusiasm and plethora of percussion instruments--including a wooden elephant bell Cathy brought back from Thailand! Cathy’s Songs on Contest CD!! 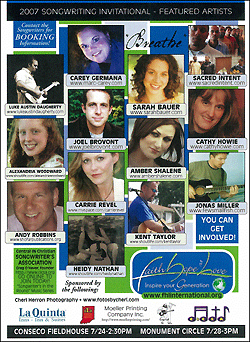 In the spring Cathy entered “in everything” and “Everywhere” in a songwriting contest (to hear these song, click on over to cathyhowie.com). The day after her birthday in June she found out that they were BOTH chosen to be included on the compilation CD, “BREATHE”! What a birthday present!! 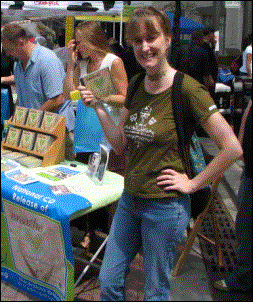 --Standing beside the CD table at the Faith, Hope, and Love concert in Indianapolis, Cathy holds up the CD containing two of her original songs. We attended the CD release event and met a producer who is interested in helping us record Cathy’s music! This is all very exciting, but also quite scary. It will also cost a LOT of money to make a CD. Please pray with us, asking God to show us unmistakably if this is the way He wants us to go. 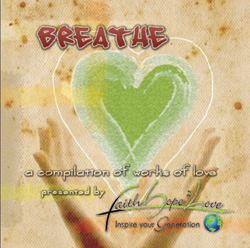 To order a CD go to www.fhlinternational.org. Click on “TO ORDER A COPY” on the top right. Tom did all the graphics for this CD cover! Our church family worked several weekends and helped us “get ‘er done!” Our house looks so pretty with its (three!) new coats of paint! Our financial support has been holding steady, but coming this fall, we will have some significant needs. Please pray for God’s promised provision. Three new families moved into our neighborhood in July. We are planning an ice cream social so all the neighbors can meet one another. Please pray that we will shine God’s light to these new friends. 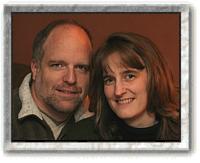 In the next few months you may receive some print materials from us--business cards, prayer cards, notes, magnets, etc. Cathy recently found a site on-line that occasionally prints items for FREE!! They look really nice, and we just wanted to let you know that we’re not using support money to get them made. Enjoy! Every other year Keynote produces a worship CD that is given to every CCC family at Staff Conference. Tom conceived and produced all the print materials for the CD. 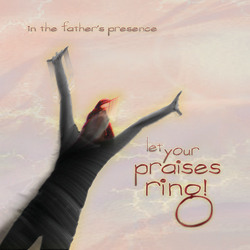 Above is the CD cover which features one of our newest Keynote young ladies glorifying our God. At Staff Conference we were given the “Discover God Study Bible”, one of the last projects Dr. Bright worked on before going to heaven. Mrs. 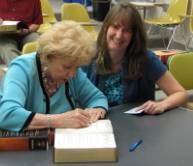 Bright signed the presentation page in our Bible after a seminar taught by her son. This fall we have four different bands going to five very dark areas of the world.-- Lebanon, Turkey, India, Tajikistan, and Egypt. Please pray that God will prepare the hearts of those who will be in the bands’ audiences. Remember what God did in Lebanon and Eastern Europe recently?!? We’ll keep you posted! --John Stemper, quoted in a workshop at Staff Conference. We love and appreciate each one of you!! "Partnering with strategic ministries to communicate God’s love through music and the performing arts"
Everything we do, from organizing equipment to processing finances, to performing and sharing the Gospel on stage is put through the filter of our mission statement and values. copyright 2005-2008 TomÃ¡s Howie. All Rights Reserved.